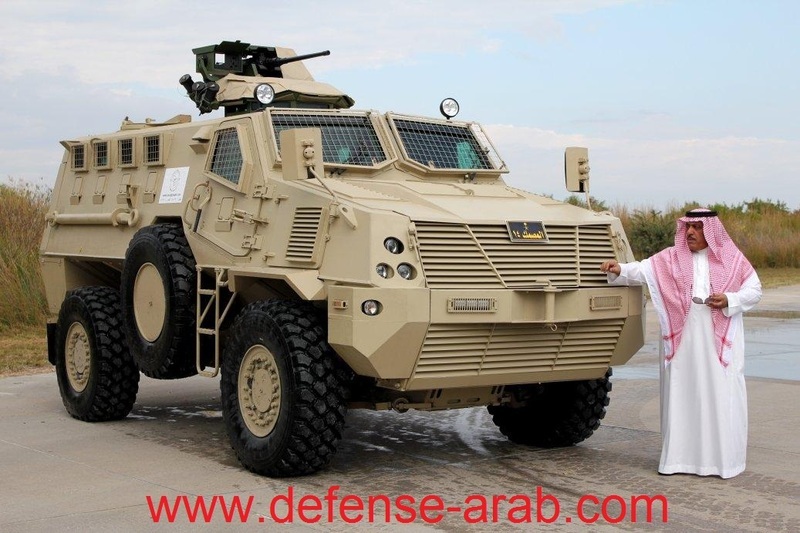 Armoured Vehicles & Heavy Equipment Factory (AFE), which is a part of the military-industrial complex of Saudi Arabia, began production and sales of a new armored vehicle Masmac. These vehicles have already entered into service of the Ministry of Defence and Aviation. The chassis is a welded construction of armored steel, which provides STANAG4569 LEVEL 3 protection. Armor with this level of protection could save from small arms fire. The class of mine protection is STANAG4569 4A & 4B. Engine is 450 HP Cummins, which allows speeds up to 150 km/h and the maximum range of 700 km. Other standard equipment includes power system at 24 V, armored glass and fuel tank, located in the rear end of the chassis, and spotlights installed on the rood that can be controlled from inside the ATV.